This paper focuses on soluble reactive phosphorus (SRP) dynamics along a 225 km stretch of the Seine River, including the Paris urban area, for the 2007–2011 period. 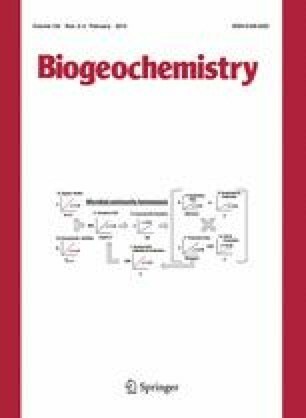 The impact of hydro-sedimentary processes on SRP concentrations and fluxes is estimated under various hydrological conditions. Sorption interaction parameters between SRP and suspended matter are experimentally determined on river water samples and are included in a hydro-ecological model. Simulated concentrations are compared to weekly measurements at 11 monitoring stations. The introduction of sorption in the model reduces the root mean square error of simulated SRP concentrations by 20 % and allows the simulation of particulate inorganic P (PIP) accumulation in the system. With these ameliorations, the model constitutes a reliable management tool, which is compatible with the requirements of new regulations as the European Water Framework Directive. P mass balances are assessed upstream and downstream the major waste water treatment plant of the Paris urban area. P fluxes in the system are mainly driven by hydrological conditions and sediment-related processes. While SRP is the predominant P form during low flow, PIP accounts for more than 70 % of the total P during high flow. Moreover, SRP sorption fluxes are of the same order of magnitude as biotic fluxes affecting SRP concentrations. According to the model, and based on all the available data, 75 % of the SRP release by the river bed sediments occurs during high flow periods, and PIP exchanges at the sediment–water interface are more than 4 times higher during high flow periods than during low flow periods. This research project was funded by the Carboseine, R2DS Île-de-France and the PIREN-Seine research programs. The authors are part of the Federation Île-de-France for Research on the Environment (FIRE FR3020 CNRS & UPMC). We are grateful to SIAAP (Public Sewage Company of the Greater Paris Area), to VNF (National Organisation for River Navigation) and to SEDIF (Syndicat des Eaux d’Île-de-France) for the data they supplied. We thank the ProSe PIREN-SIAAP working group for the enriching discussions on P simulation. We also wish to acknowledge the contribution of Chantal de Fouquet on the variographic analysis of the results. The authors would finally like to thank the two anonymous reviewers of the paper for their constructive comments.